Top 15 Windows 10 Games: – You recently got Windows 10 installed and wondering which game to download for that Adrenalin rush? While you are already gifted with some pre-installed games for Windows like, the most liked Candy Crush Saga, Minesweeper and Solitaire; you still want to make the best out of the glossy new Windows 10. The new Windows OS has a different approach to gaming by connecting it to the global apps that offers a multi-platform gaming experience in real. There are many paid games that offer great quality; however, there are many other games that are available for free of cost and that’s what we will talk about today. Nonetheless, these free games also come with premium features (paid) that can boost your gaming experience many folds with in-app purchases. What’s interesting here is that, you can play games on Windows PC with people who use XBox version of the game. Also, the fact that Windows 10 comes with the Xbox app gives the entire gaming experience added edge. This built-in application is very similar to the Xbox control panel that has all its compelling features. So, whether you have an Xbox or not the app provides a wide array of some of the wonderful tools for you to be able to connect to avid gamers and to share content. There’s more in store as Windows 10 works pretty well with other sharing platforms where you can record any game running on the OS and even share clips. Moreover, you can also connect with people, and voice chat with them across different devices while you can also monitor the games being played by your friends. So, here’s a list of the best Windows 10 games that we have compiled today for you to be able to play on your Windows 10 powered PC. 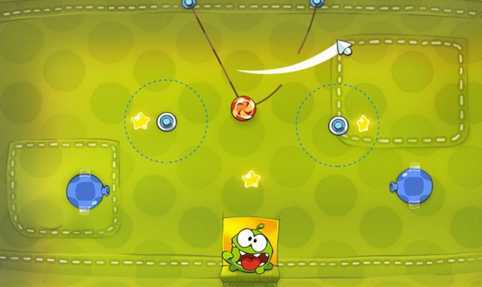 Cut the Rope is an action puzzle –physics game that’s got that really adorable feel. The fact that it is a pretty easy game that involves no complications and still gives you a tough challenge makes it a highly entertaining game. The entire concept is to feed the tiny monster name Om Nom by cutting the ropes at the correct time. Whether you want to play it in short burst or in a stretch of a session is your call as you have both the options available with the game. Each level makes it even difficult for you to feed the monster and as the difficulty level increases with each level, you will be left scratching your head quite often during the game. You will get many options to move the candy such as, using bubbles, whoopee cushions or ropes. The free play is available in the trial version and to play all the levels you need make in-app purchases. 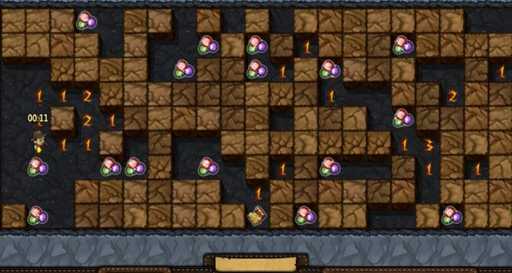 Microsoft Treasure Hunt is stylish remake that offers elementary puzzle solving nature of the classic game, Minesweeper. What’s unique about this game is that apart from the transformation it also mixes up a nice adventure story. 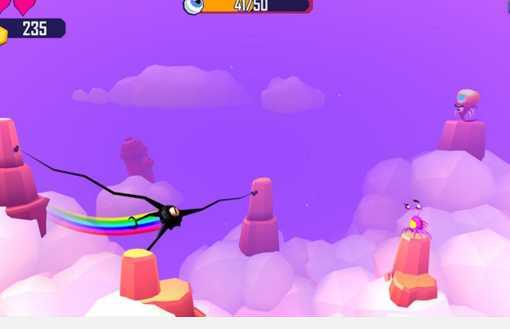 The key aim of this game is to rescue your hero from the different types of hidden monsters and perils while you also collect gold at the same time. That’s not all, as for further assistance in the game you can acquire a number of concealed weapons and tools that are found in each game level. Minesweeper has found an upgraded version with the Microsoft Treasure Hunt that will keep you hooked on to the screen for long. You will love this game especially you if have liked the older version and want to revisit the older times, but with advanced graphics. Minecraft is undoubtedly one of the significant pillars of Microsoft and now the Windows 10 OS is incomplete without it. It has become a part of Microsoft’s over-all strategy with the gaming platform post their buy out of the property last year for a whopping $2.5 billion. While we eagerly await the biggest games ever to hit the HoloLens, we are quite thrilled with the fact that the new Windows 10 version is Xbox enabled. If that wasn’t enough the Windows 10 edition is totally free, and is very close to the Minecraft’s mobile Pocket version. However, it is believed that it will eventually inherit the more dominant features of the Xbox or the PC renditions. So, make the most of your newly upgraded PC to Windows 10 by using the ever-growing toolkit of Minecraft. If you are a golf lover, Fairway Solitaire is among one of the card games which is a unique and interesting solitaire options to play with. 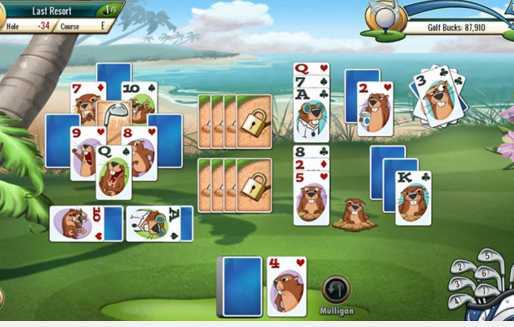 The fact that it is more animated compared to other solitaire offerings makes it even more attractive. The card game is based on the golf game concept where you need to attempt to get the same score or lower to move up to the next level which are actually the holes that we see in the golf course. The game, however, works on the traditional solitaire concept where you have to pull cards from those displayed on the playing field, that are either higher in value from the card exposed or lower. You basically need to match the card in sequence. During the game, you will come across many obstacles in the form of water perils, sand pitfalls, vicious and an annoying gofer that attempts to steal items from the game. You can earn coins during the game that you can use later to buy additional golf clubs, pick up additional clubs from the game’s store or purchase bonus items, Fairway Solitaire is sure to keep you entertained for free. It is a nicely designed and addictive game worth a try. Price: Free (starter game with first few courses); $0.99 to open up the entire 350 holes of the solitaire golf. This small but extremely engaging game, Sonic Dash keeps you going in the game with the quintessential Sonic mascot, the Hedgehog. This fast-moving running style game provides you with countless straightaways, jumps and even curves that are filled with dangerous stunts like, running around, sliding under or jump. You can add to the fun by unlocking other favorite Sonic characters like, Shadows, Knuckles and Tails during the game. The fun doesn’t end there as you will encounter many enemies of Sonic such as, Dr. Eggman during the game to dare you for epic boss clash. The main aim in this game is to collect rings that help you further in the game for purchasing power-ups. Even though the game comes with restricted number of locations viz. 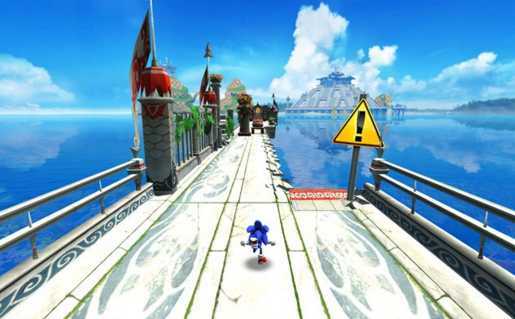 The Seaside Hill Zone and The Green Hill Zone, the fact that they are accompanied with charming scenery makes the chaotic paths fun. If you want to fill up your desktop with an action/adventure game, what better than Dungeon Hunter 5? This Gameloft presentation lets you wander around a fantasy world while you execute evil troops wherever they hide. It is more of “hack-n-slash” styled game that keeps you hooked on to the game with its addictive format and the captivating challenges. The game is supported with compelling graphics, pretty good narrative, and different types of weapons and witchcraft. 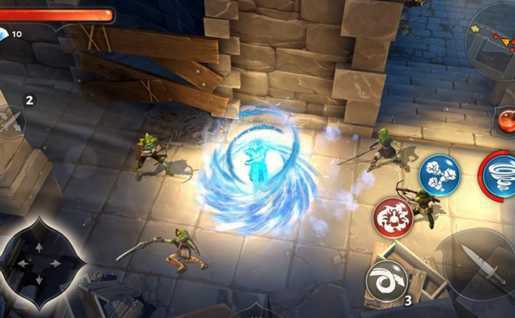 Though like the other Game loft games, even Dungeon Hunter 5 can be played on your mobile phone devices, but it is better played on a desktop with Xbox One controller. You also have the option to buy credits which bring about random items, but the free version is good enough to have fun. Hills of Glory 3D Free is a war game set in the European Theatre during the 2nd World War, where you have to defend your tower. Here you need to fight for your bunker against the stream of enemy attacks using the wide array of weapons like, mortars, flamethrowers, rifles and even air attacks. It has two gaming modes one of which is the endless battle mode that tests your survival capacity against the enemy attack, while the mission based mode offers 21 missions to handle. You can unlock the full repository of weapons as you play through, earn experience and move up in the rank. The game has nice graphics and a lot of upgrades that boosts your defensive powers. You also have access to different game controls like, mouse, touchpad and multi-touch. 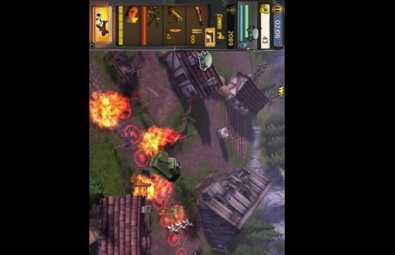 Even though Hills of Glory 3D may not fall in the category of the traditional tower defense or war games, it is a unique game that adds up to the fun as you progress in the game. 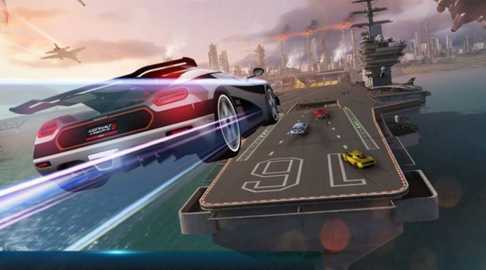 If you are looking for a pulse-racing arcade car racing game, there’s no better option than Asphalt 8: Airborne. 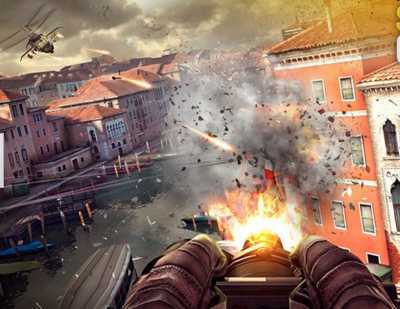 This is one of the popular games that is offered by Gameloft to the Windows users alongside iOS and Android users. What’s distinct about this Asphalt 8 is that it is the only game that has the added feature of the Xbox Live achievements. The installation file being 1.6GB, it will require quite some time to get downloaded and once the installation is complete you are greeted with a list of over 95 cars that includes speedy racers like the Ferrari FXX or Lamborghini Veneno which can be unlocked as you move ahead in the game with the money you win in the race. What’s more, as there are 13 different attractive locations and each of the locations offer a wide range of routes. You can select from the different types of race modes, of which the “Infected Mode” gives you countless boosts if you infect other participants with a dangerous virus. The best part is that Asphalt 8: Airborne comes with multiplayer mode while you can also race with your friends offline. 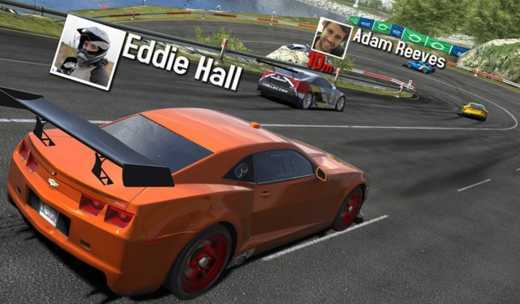 So, get ready for a smooth racing experience with zooming dream cars and with perfect controls. Looking for some rib tickling experience? 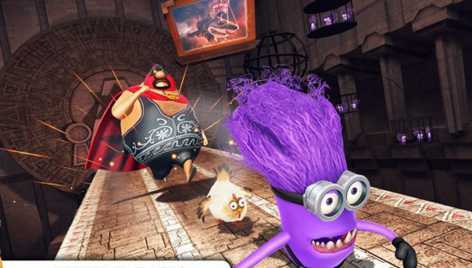 Then Despicable Me: Minion Rush is the right choice for you. This game is just perfect for all those who use Windows 10 and love minion. In this runner-game you are the cute minion who has to surpass the hurdles, collect bananas and fight enemies to impress the boss (Gru) and eventually win the “Minion of the Year” title. The game currency here is the banana which can be used to upgrade to the next level, buy weapons and dresses for the minion. There are hundreds of missions to choose from that throws in super amusing surprises and tricky hurdles. Not just that, you will also be able to move through familiar locations from movies like, Gru’s lab or El Macho’s lair. Despicable Me: Minion Rush is real fun to play where you can even buy credits with real money that can help you to complete missions much faster with greater rewards. 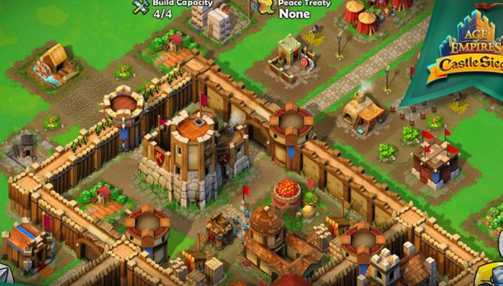 If you have played Clash of Clans on your mobile phone devices, you can relate to Age of Empires: Castle Siege. You also find the game somewhat similar to the classic RTS. You can attack any player’s castle while you block their way with a troop that you have created. The game also tasks you to build and enhance your own castle and the civilization around, laying your barricade and troops skillfully to avert invaders. So, you can build castles, gather various resources and attack players in the process. You can choose among several civilizations such as, Byzantines, Teutonic Knights Order and more. Each of these civilizations offers different type of playing with distinct skills and technologies. What’s interesting here is that you can even hire famous heroes to assist your army to attack the cities of other players with the help of their special skills like, Richard the Lionheart who can intensify the damage and the speed of the troops nearby. The game is constantly updated and you can also buy micro-transactions to get resources faster. You can play Age of Empires: Castle Siege even on your Windows Phone. Get the real car racing feel (as the developers claim) from the second car racing game in the list with GT Racing: The Real Car Experience. You are allowed to choose from a collection of 67 exclusive sports cars that you can drive around 13 famous racing tracks. What adds to the fun that your driving skills are on test among 1400 events and different race types like, point-to-point time trials. We must say that the car handling is pretty good and there are quite a few control options available that will meet your requirements. You need to strive a lot in the game to be able to upgrade your car such as, using a mechanic or earning enough cash. And, if you are losing your patience at this point, you may resort to buying upgrades or to get the extra mechanics. Use multiplayer mode to earn extra dough and spend no real money for a speedy upgrade. As far as the graphics of the game are concerned, you get sleek looking cars, elaborate tracks, 4 different camera angles and a camera view from the helmet with GT Racing: The Real Car Experience is a fantastic experience. Modern Combat 5: Blackout will appeal to all the Battlefield fanatics or those who simply cannot keep their hands off the Call of Duty. The game features two separate options viz. an action-filled single player mode that comes with fantasy setup and the multiplayer mode with a speedy environment with a well-designed advancement system. The multiplayer mode also offers five different types of warrior standards that help you to unlock a specific set of ammunitions and to progress on the basis of individual strength trees. However, you should remember that you need to be connected to the internet at all times to play Modern Combat 5: Blackout even on the single player mode. The game features cool graphics giving you an amazing gaming experience. Have you seen a pinball machine in real life? Pinball FX2 gives you exactly the same feel that uses elemental physics of a pinball machine in a virtual setup that does in real. While you start you may find only a few different pinball tables, but they look too good and operate quite close to the real machine. If you begin competing with your buddies the game becomes real fun while you reach to a decent score. 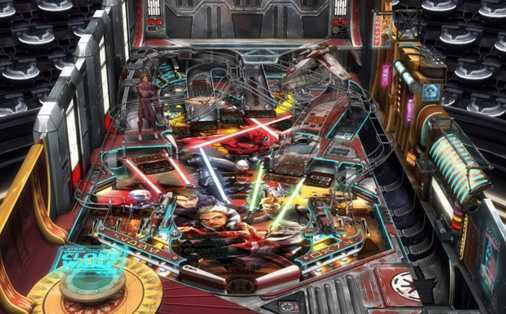 Pinball FX2 is a classic, quite an old fashioned and a simple arcade game that can help you relax. So, if you are fan of the Pinball game you can definitely give this a try and you will be more than happy. Experience the world of 3D top-down squad shooter with Tiny Troopers which is a presentation by the ever faithful Xbox game developer, Game Troopers. 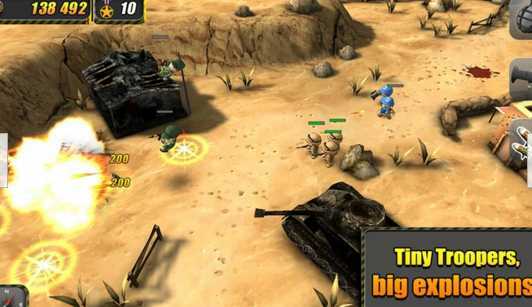 In this game, you lead the battalion of soldiers that are portrayed in cartoon form. You have to lead them through risky situations with the help of taps and tough conviction. If you have played the classic game Cannon Fodder previously, you would know that Tiny Troopers is quite similar to it across 30 levels. You can play the game for free, but it you really do not need to pay to win the game. While you can earn some cash quite easily using the regular play option, but in case if you are too lazy to move ahead or have no patience left you can ten certainly buy ammunitions, boosters or power ups at fair prices. Do not go as per the name, because Tentacles: Enter the Mind is a real good mind game. The game has a unique concept where you have to control a knob that looks like squid whose job is to climb through vivid geometrical patterned hell filled with giants/monsters. The game actually takes place inside the mind of Dr. Phluff and is cluttered with psychiatric doctrine references. Firstly, we must say that this game has a really interesting title out of the lot and the other fact is that it can be played with both the mouse and the keyboard. Tentacles: Enter the Mind is available to play for free and comes with loads of bonus stuff and unlocking options. You can do good even without buying the micro-transaction boosters which though can be really difficult, but it will eventually give you a satisfying experience. Try the game even on your Windows Phone or with its counterpart using the sports cloud syncing process.